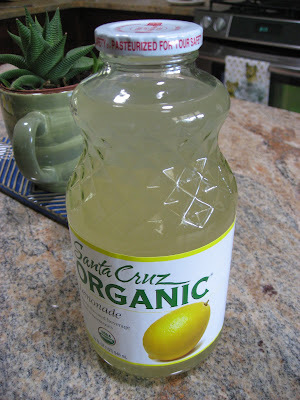 This post is pretty much a love letter to Santa Cruz organic lemonade. I've been drinking it by the (32-ounce) bottle since it got so hot. Central Market had it on sale for a dollar a few weeks ago (the regular price is $2.89), and I bought fifteen. (Fifteen! What possessed me?! It's like I knew it was never going to get down under 100 degrees ever again.) We spent a lot of time outside again this weekend, and popping in for a glass of lemonade has been fantastic (although I'm down to only four bottles...). It's probably the best lemonade I've ever had -- not too sweet, not too tart, just perfect when you live in the center of the sun. We got some in july from whole foods for 3 for $4 and got 12. They went fast and was the best lemonade that i've drank in a long time.